"NBA 2K2 is the third installment of the 2K series, it was still developed by Visual Concepts and published by Sega Sports. It was ported to the Dreamcast, PlayStation 2, Nintendo GameCube, and the Xbox. It was released on October 24, 2001 on the Dreamcast and later ported with PlayStation 2, Nintendo GameCube, and the Xbox in 2002. NBA 2K2 featured more street courts such as Mosswood, Fonde Rec Center, Venice Beach, etc. The game still featured the old street courts like in the previous game NBA 2K1. It was the first NBA 2K game to port into next sixth generation consoles instead of Dreamcast. The game is the last to be ported into Dreamcast. The cover athlete is Allen Iverson." 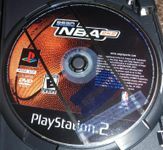 Source: Wikipedia, "NBA_2K2," available under the CC-BY-SA License.